The last few months of life have been a bit intense for our family. Life happens, new years begin, adventures call, and days meld together from lack of sleep. This is our reality and while it can be hard, we love it! If you have any common sense then you know December in Indiana is cold. I mean, cold, especially for Arkansans who have been living between mostly Texas and Florida for over two years. 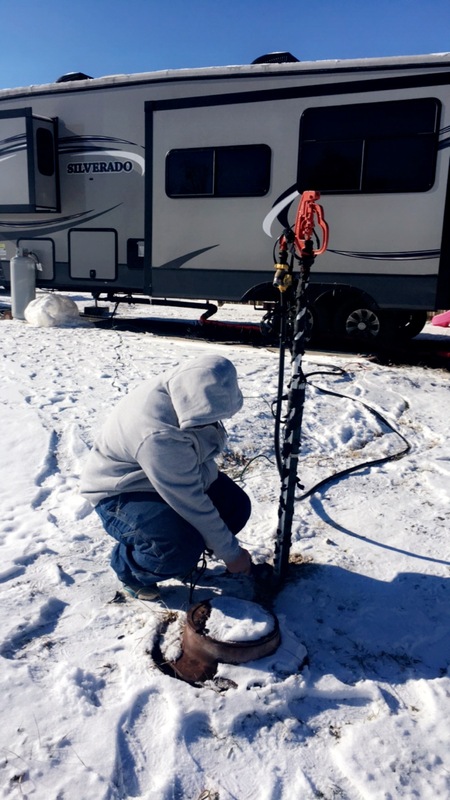 We knew how to prep the camper for the winter but needed to hold off until the local RV shop could repair two tanks that had swollen and dropped from the camper. There still doesn’t seem to be a cause, just one of those freak accidents. It put us into a situation where we were down to one bathroom between five people, including a potty-training toddler, and left us vulnerable to the elements. 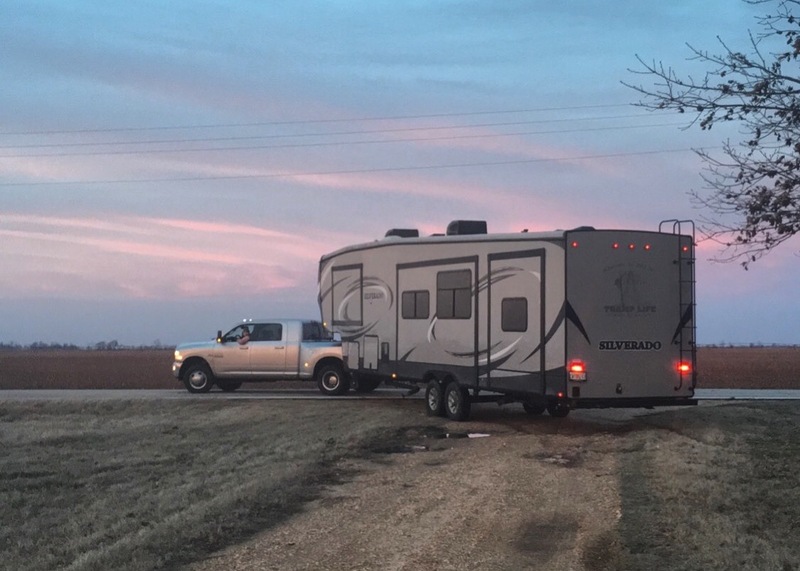 Let’s skip ahead to New Years when we were ready to go pick up our home from the RV shop. The Mister had dropped it off on December 21 and come down to join us for the holidays meaning we were all in Arkansas for two weeks while our home was still in Indiana. He had received a layoff call while gone which is extremely common for IBEW this time of year as work slows down except for storms. We drove up to Saint Louis, then on to Bedford, and setup our home, not sure when work would call. After contacting over 70 locals, we decided we would just need to be patient and wait for the jobs to pick back up. A quick trip to Jonesboro just before a good snow meant we came home to frozen tanks and a solid ice main water pipe. The Mister picked up a heat gun (I’d been hoping we would get one!) and within an hour…voila, water! The downside to this? Well, one of the tanks that we hadn’t fixed before now has a crack. Awesome, right? At least it wasn’t the new one! Seriously though, all we could do was laugh at this point. The knocks just kept coming in. 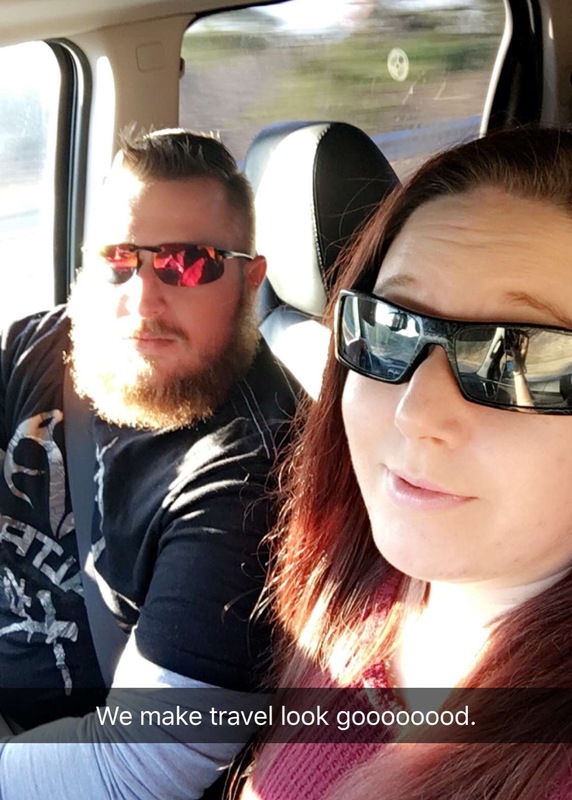 My husband stood strong keeping me sane as I battled the situations with him and tried weaning our toddler from breastfeeding. Every day was a new challenge and the hormonal meltdowns were not helping the circumstances one bit. That is when an amazing friend stepped in and made an offer we couldn’t refuse. 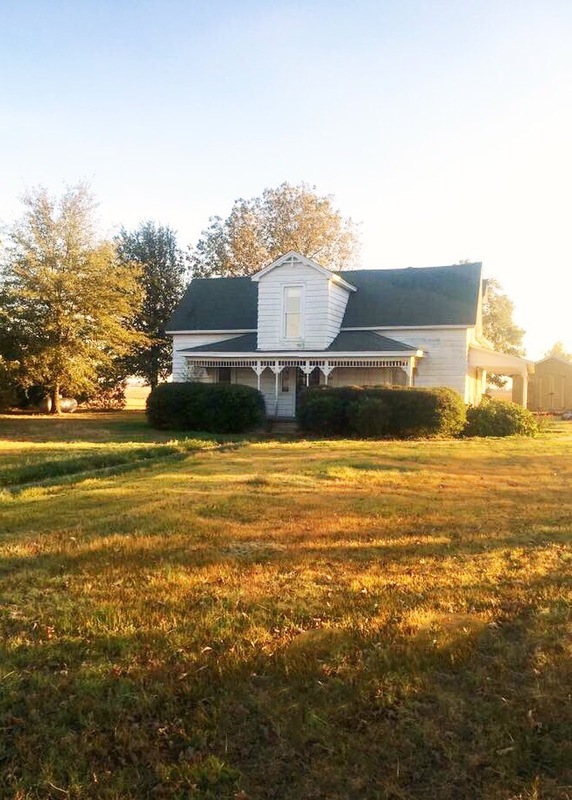 Sitting on 1.34 acres and surrounded by generations of farmland is an adorable Victorian styled home originally built in 1901. The house started out life as a log cabin but since then there have been several additions and remodels. In the 1930s, the home was enclosed and the home you see today began to take shape. This house is gorgeously rustic and old-fashioned in a way only farmhouse adorers could dream! The beautiful property, featuring 3 bedrooms, 1 bathroom, a gas fireplace in the living room, and a downstairs master bedroom is where we will be calling home for a few more weeks. 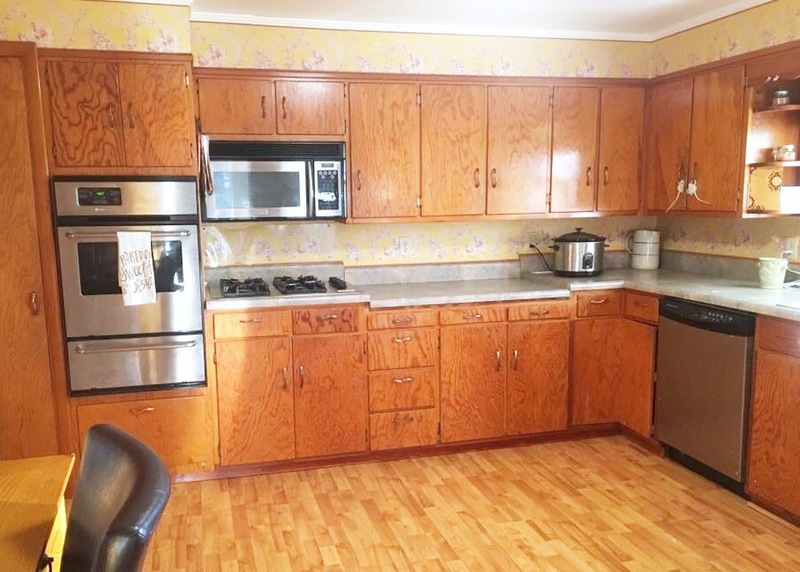 There are also two bonus rooms within one of the bedrooms which would be an amazing setup for a small library, office, school room, or a wide range of other uses. The possibilities with this house are incredible; so much potential! Plus, who could hate this bathroom? I mean, claw-foot tub, *swoon*. 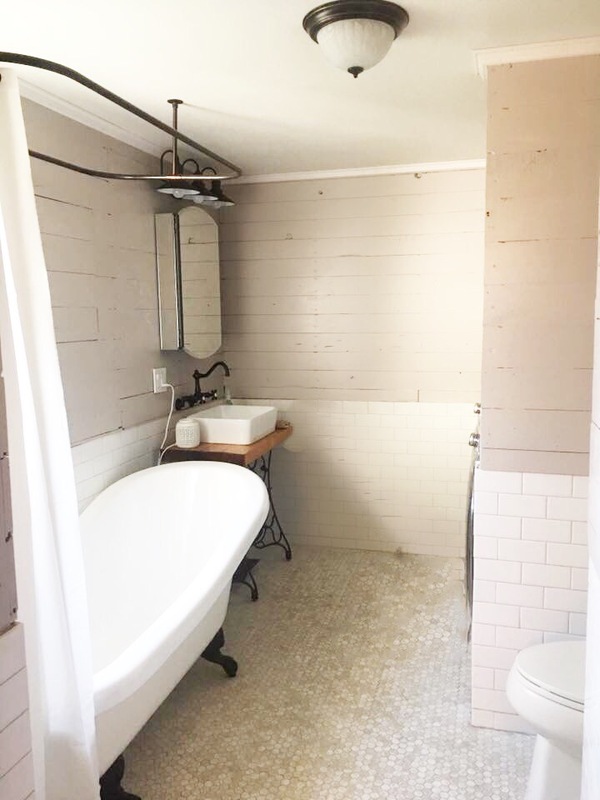 Originally added on in the late 1950s, the current owners recently finished a fantastic bathroom overhaul. 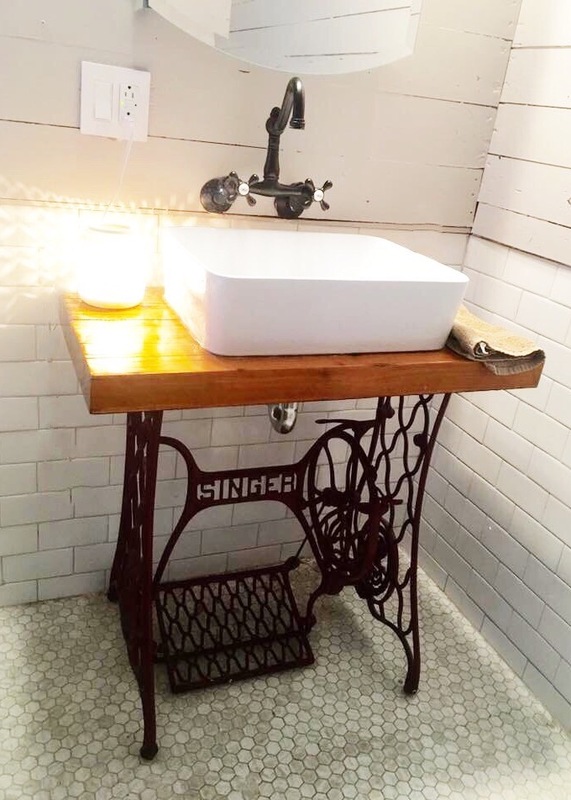 Complete with grey shiplap and a custom sink, this could easily be a mom’s late night oasis. There is also a separated laundry hookup making getting those clothes into the actual bins a much simpler process for littles to remember. We are so very lucky to have these friends who are like family and are blessed to be helping them keep their home occupied while it is on the market. While both of our families will be sad to see this home sell, we are all so thankful for the memories that were made here. The times we spent together, bonding and growing, will forever be close to our hearts. The love that their family shared here is so special, especially in the current world where we live. If you’re searching for a home in Northeast Arkansas, keep this one in mind, and contact us with any questions. We’re sure you would love it. 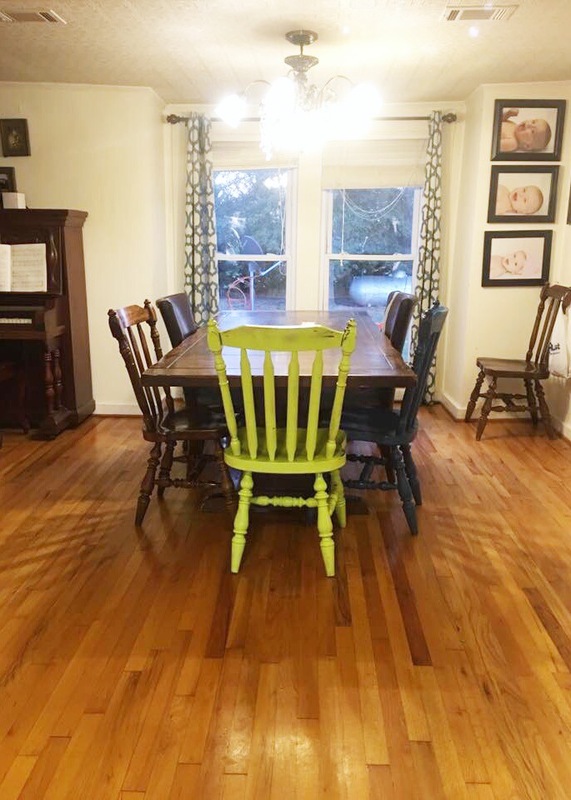 Original photos of the farmhouse taken by Emily Anderson over at Mommy the Zookeeper.